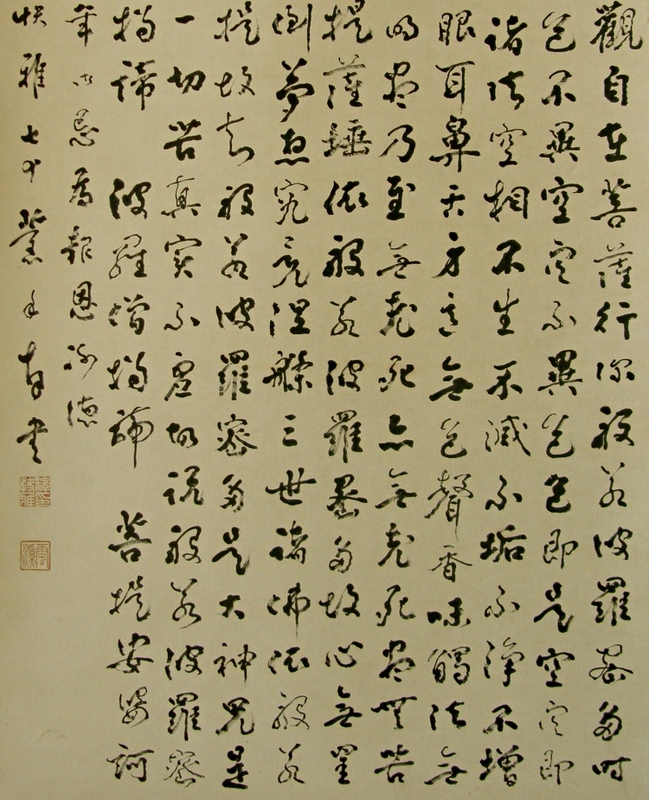 This scroll was written in 1934. There are some spots and amotions on the drawing part. 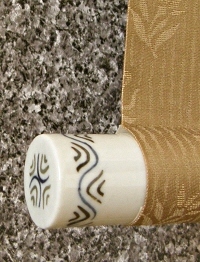 Although, the condition of this scroll is not bad. 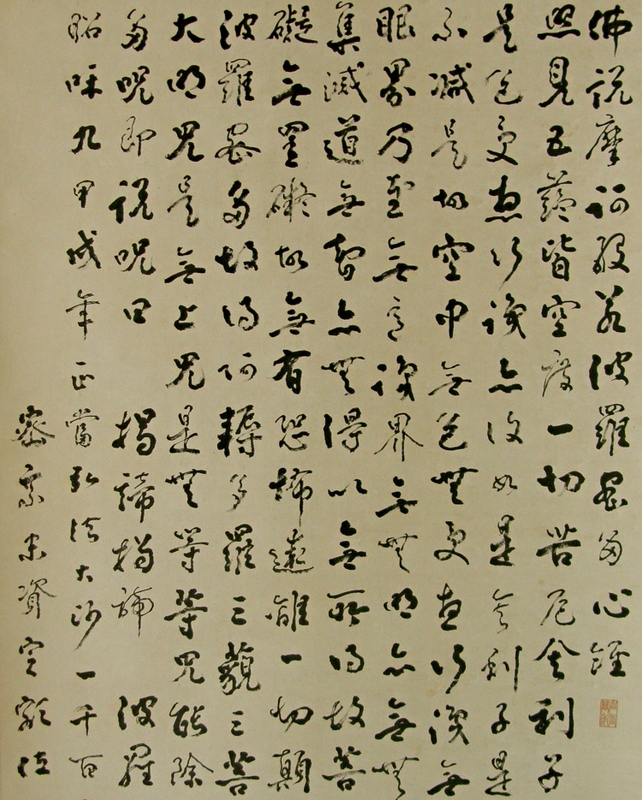 The Buddhistic sutra (Heart Sutra, Hannya-Shingyo) is drawn religiously in handwriting using Japanese brush and black Sumi ink. It is hard to write down the Kanji characters in a same size and without making a mistake.